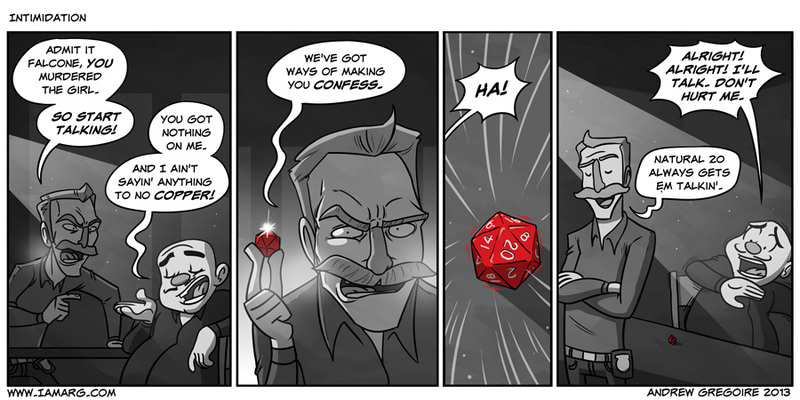 I wish more things were decided by dice rolls… But not like in that big bang theory episode. THAT’S JUST STUPID. Want to own some original ARG ART, created just for you on the cheap? Going to ECCC? Check out this blog post about my Commissions! Hey, No worries was just getting to emails now. Sent the email. If the package doesn’t arrive to you soon I’ll priority air mail you a brand new one. That would make my life so much easier. clearly a knowledge test, he knows everything! If given the option for real life to work this way, I’d choose it. I always roll a natural 20, except that one time I rolled a 19.